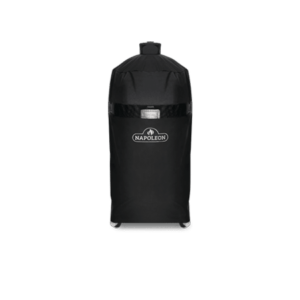 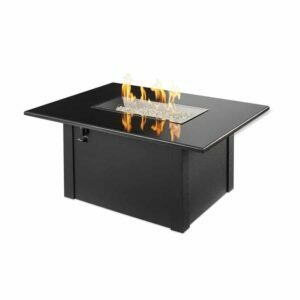 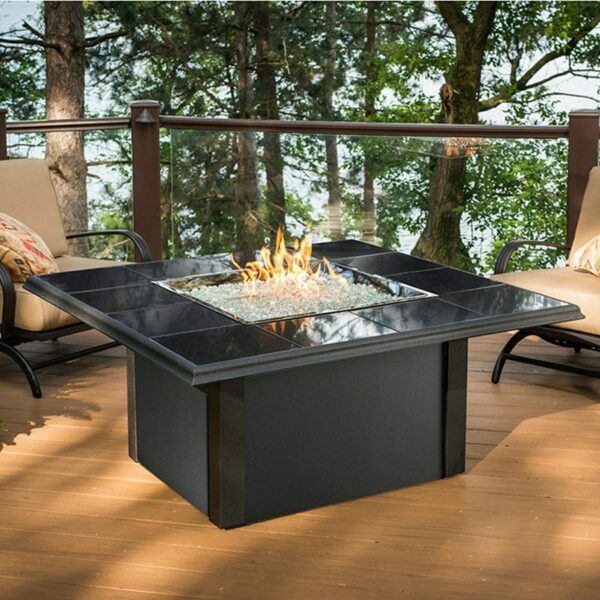 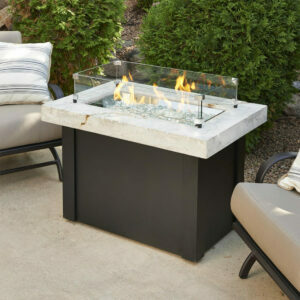 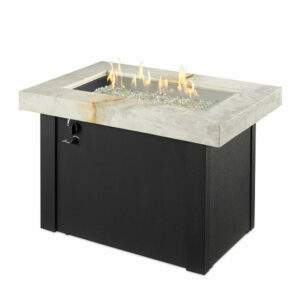 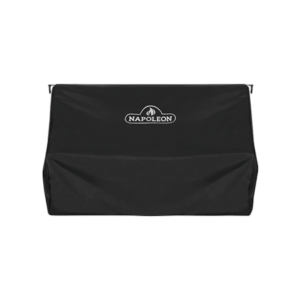 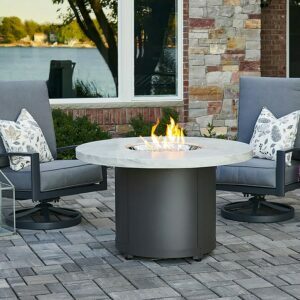 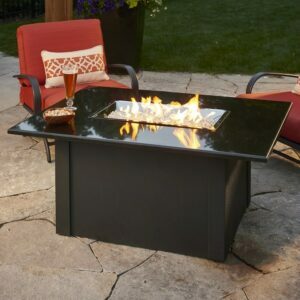 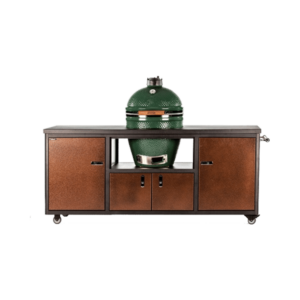 Light up the night and create a warm gathering place with the Napa Valley Fire Pit Table from The Outdoor GreatRoom Company. The powder-coated aluminum base provides a sleek and durable support for the porcelain or granite tile table top. 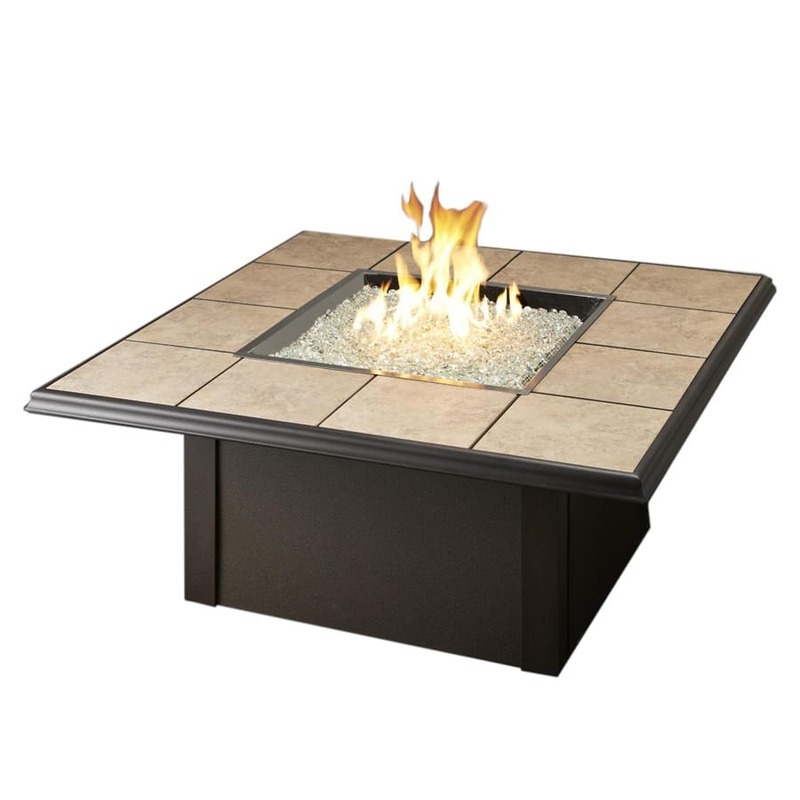 All tiles are drop-in and can be swapped out to match your outdoor decor. 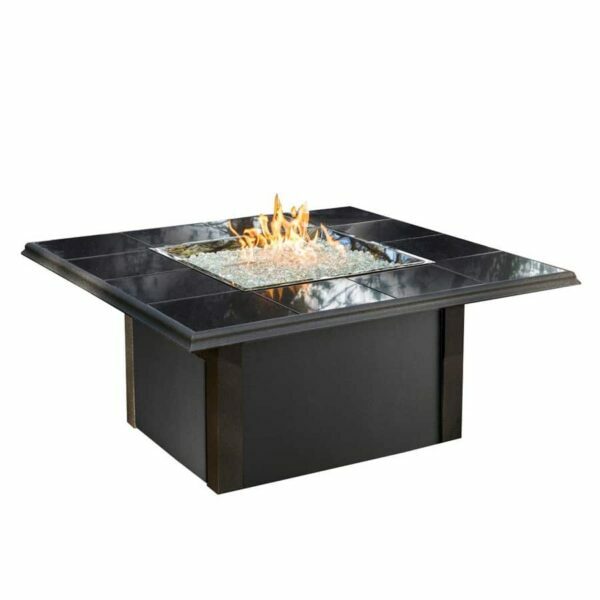 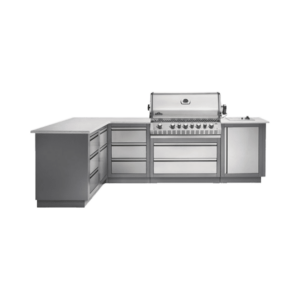 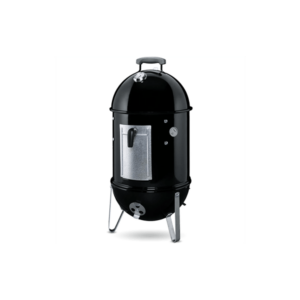 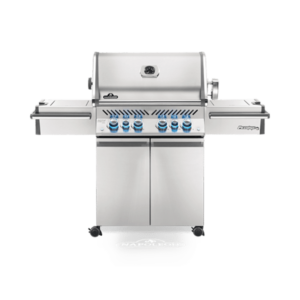 The stainless steel CF-1224 Crystal Fire burner is rated for up to 65,000 BTUs and is UL listed for ensured safety. 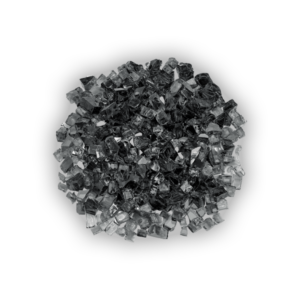 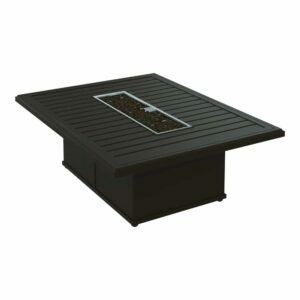 Black granite or brown porcelain tile top with powder-coated steel base.